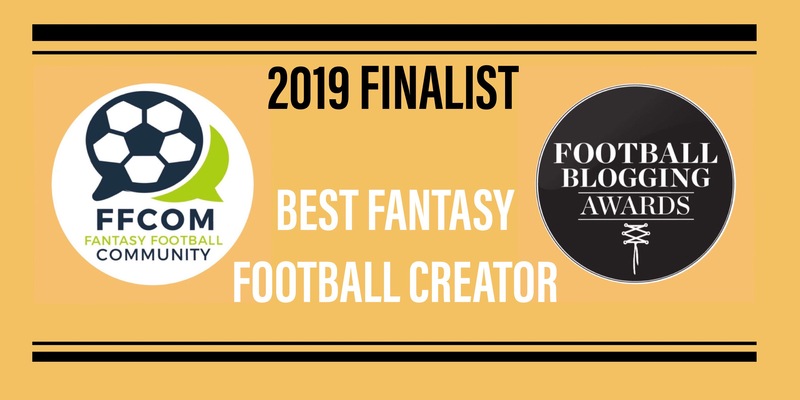 Fantasy Football Community have been nominated as a finalist for the 2019 Football Blogging Awards. We are one of fifteen fantasy creators recognised in the “Best Fantasy Football Creator” category. Now in its 8th year, the awards recognise and award the best football bloggers, bloggers and influencers around the world. We are delighted to have been shortlisted for an award and now need your votes of support in anticipation of the ceremony at the Etihad Stadium on the 9th May. There are several ways to cast your vote: Twitter, Website or Instagram. – To vote on Twitter, you can use tweet “I am voting for @ffcommunity_ in @TheFBAs as #BestFantasyFootballContentCreator” OR use the following automated link. – To vote on the website, visit https://footballbloggingawards.co.uk/vote-now/ and select us from the drop down box for Best Fantasy Football Creator. Best Fantasy Football Creator Finalist Voting Is Now Open! Simply choose your winner from the list below by tagging them in the comments. @hailcheaters @ffcommunity_ @fplsecrets @fantasyyirma @fpltv @_fpltips @LetsTalkFpl @planetfpl @hypetrainofficial @jno_united @alloutattackfpl @Capkin_Gaming @DayvyFPL @FFScout @NymfriaTV Voting closes at 23:59 on April 21st 2019. You can only vote once on Instagram. Thank you for all your support so far in getting the site to this stage and many thanks for your votes in the final stage. It is very much appreciated! Good luck to the other excellent fantasy content creators nominated in this category.